Our Italian holiday season 2015 has come to an end. Whilst reminiscing about the fantastic guests on our cooking courses, painting classes and Pilates holidays in Italy, we also started thinking about the questions we’ve been asked throughout the year. Here are our top 3 most frequently asked questions and our team’s answers. 1. 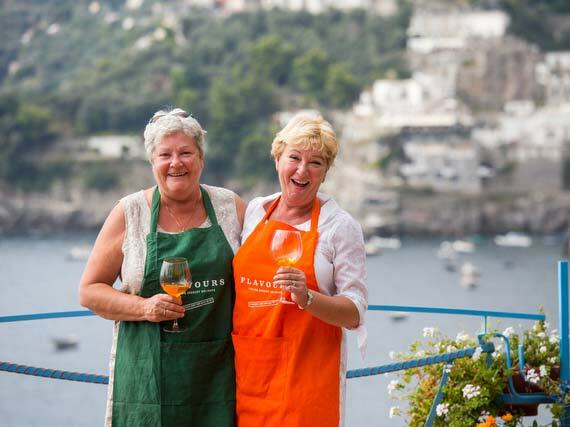 Cooking, painting, Pilates, Italy, solos… what’s the essence of a Flavours holiday? Our holidays are organised group holidays for people of all age ranges and backgrounds. The one thing they all have in common is a keen interest in Italy. The cooking holidays in Italy are extremely hands-on and don’t require any specific level of ability. All you really need is a good appetite. Together with the group you will be making delicious Italian dishes authentic to the region you’re in. Apart from daily cooking lessons, you’ll also visit local towns and wineries. The same is true for our painting and Pilates holidays – with fantastic excursions and enough time to relax by the pool you’ll have the chance to meet new people in an intimate setting. And, don’t worry if you aren’t the next Michelangelo or you haven’t tried Pilates before. Small group sizes make it possible for our tutors to tailor classes around each individual’s level of ability. 2. Sounds good. But, can I come on your holidays by myself? If so, do I have to pay extra? Of course you can come on our holidays to Italy by yourself! In fact, we encourage people to go solo! That’s why we don’t charge any single person supplement which means you don’t have to pay extra for your own room and bathroom. With 70 % of our guests travelling solo, our Italian holidays provide the perfect environment for getting to know everyone in your group. 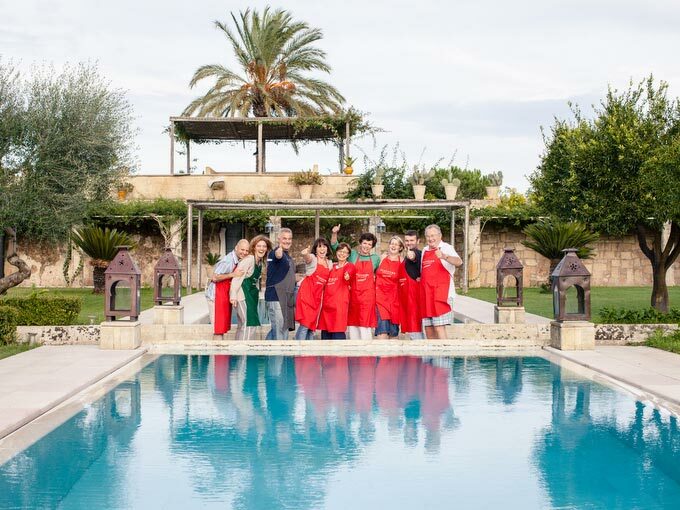 Sharing a same interest in Italy, cooking, painting or Pilates makes it really easy to bond with the other guests in the group. Here at Flavours, we often find guests who joined us as single travellers have returned to book another holiday with the friends they made on their first trip. The small group sizes and intimate atmosphere will make you feel comfortable from moment one. We take pride in taking care of you from beginning to end which makes our Italian holidays perfect for first-time solo travellers who might feel a little nervous about going on their holiday alone. 3. And, what’s included in the price? How much money do I need to bring? All you really have to bring to Italy is yourself. Our package holidays cover everything you need. That means all your classes in Italy, meals, wine, excursions and restaurant visits. And, have we mentioned already that there is no extra charge for solo travellers? We also have a free transfer service running from your arrival airport to our villas, so all that comes on top of the holiday price is your flights. You simply have to check times with us before booking your flights! It is quite difficult for you to spend your own money when joining us on our holidays. 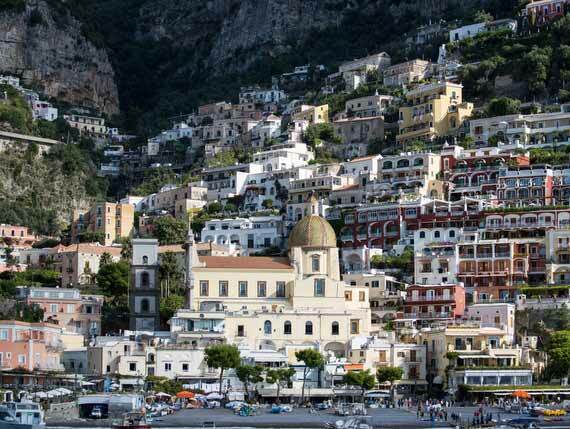 As the holiday cost covers all of the aspects mentioned above, you only need some money in case you want to bring home some Italian souvenirs from one of the many inspiring places you will be visiting. Any questions we haven’t covered? We do get all kinds of questions. And we do love to provide answers. Is there anything unclear about our Italian cooking holidays? Would to like to read more holiday ideas for singles or do you have a question you’d like to ask us? 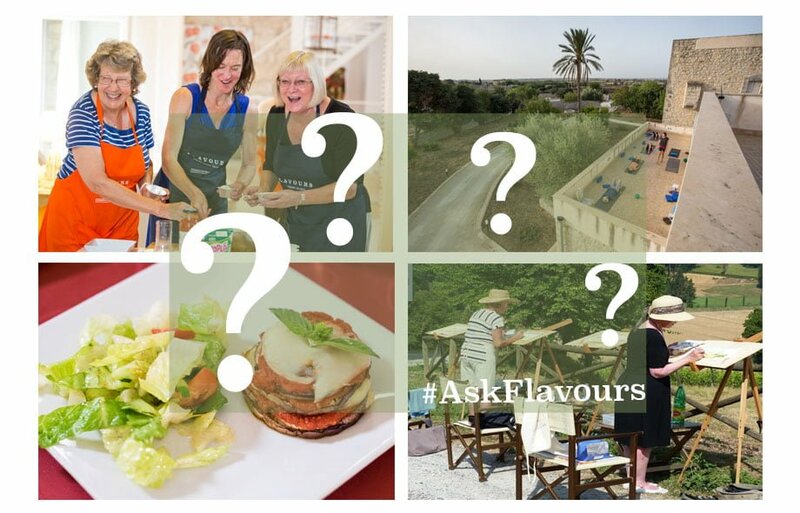 Then get in touch with our team, let us know below or use #AskFlavours on our social media channels and let us know what you would like to know from us!